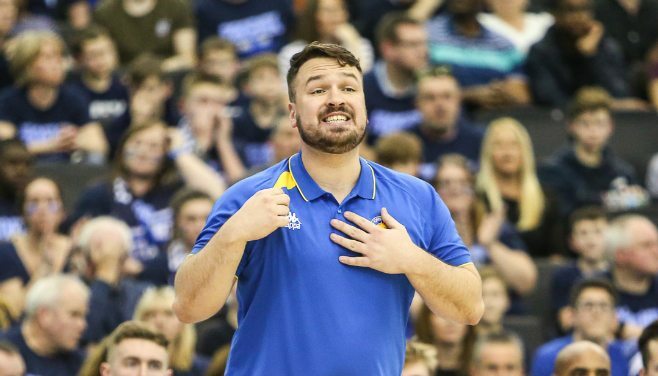 Ben Thomas has been crowned Molten BBL Coach of the Month for January in recognition of masterminding a historic first ever BBL Cup success for Cheshire Phoenix. The play-caller landed the coveted silverware in what is his first full season at the helm. Thomas is also not only one of the youngest coaches to have won the prize, he is also the first British-born coach to land the BBL Cup for almost a decade. His accomplishment came at the end of a week when he was struck by flu and unable to complete preparations until the morning of the Final itself. With captain Orlan Jackman struggling with injury and most people expecting the in-form Worcester Wolves to lift the silverware, Thomas and Phoenix defied the odds to pick up a convincing 99-88 success in front of almost 10,000 fans at Arena Birmingham. Thomas fought off competition from Leicester Riders’ Rob Paternostro and Tony Garbelotto of Glasgow Rocks, who both racked up a 4-1 record during the period.